Arthur Przybyszewski (Mark Kroczynski) tells his story to the audience. Photos by Dennis Lyzniak. 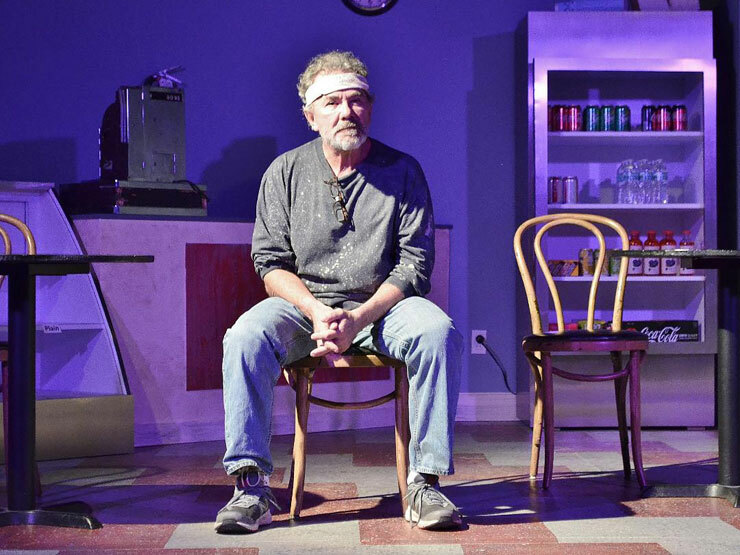 Parts of Pulitzer Prize-winning playwright Tracy Letts' "Superior Donuts" are as sweet as a sinful confection in the shop bearing the play’s title. 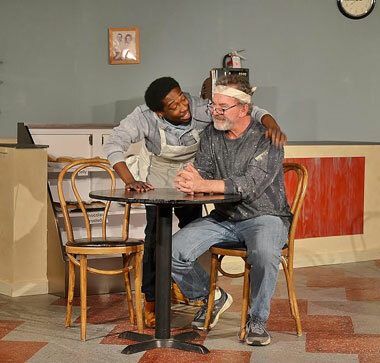 To be sure, "Superior Donuts," which runs through Sunday, Jan. 20 at the Main Street Playhouse in Miami Lakes, is an often-strong but imperfect production. It isn’t a great play. Yet, it contains enough meaty material and moving drama to consider it a work of substance, and balances lighthearted fare with topics that exercise the mind. Surely, many will identify with "Superior Donuts" focus on the American Dream as well as the power of friendship, community and redemption. More specifically, twenty-somethings might see themselves in the ambitious Wicks, a young Black man living in Chicago during the late 2000’s. Franco Wicks (Roderick Randle) and Luther Flynn (Daniel Nieves) appear in a tense scene. Photos by Dennis Lyzniak. The sole setting is the Superior Donuts shop in the diverse, but violence-prone, historic uptown Chicago neighborhood. Przybyszewski’s family established the store decades ago. Now he owns it and finds comfort in the status quo.Nevertheless, his resistance faces tough tests from Wicks and next-door Russian businessman Max Tarasov. And Randle shines as Wicks. He’s a spark plug, delivering deafening jolts of enthusiasm and electricity without overshadowing his castmates. Randle, in perpetual motion, has wide, enthusiastic eyes and a smile as bright as a lit-up Christmas tree store. These expressions help the actor nail his character’s uncontained exuberance. Picture a young Wesley Snipes. But Randle, through a multi-faceted performance, also imbues Wicks with impulsivity and anger. At least once, the sulking young man leaves the shop lightning fast like a video game-obsessed child told to stop playing on a weekend.Still, Randle’s strongest dramatic moment comes at the end. The weight of disappointment and pain (emotional and physical) has crushed Wicks. He looks so convincingly depressed and teary-eyed, it’s clear Randle has internalized these feelings in an impressive display of method acting. Franco Wicks (Roderick Randle) tries to engage Arthur Przybyszewski (Mark Krocynski). Photos by Dennis Lyzniak. But mostly, the character opens up to the audience. Through several monologues, he relates his story, making us understand him more.Kroczynski is especially effective while delivering these speeches. In fact, the play’s treatment of race is hardly complex. It appears Letts wants to make us aware of the issue, but he couches it through jokes. Most are familiar with playwright Letts through his Pulitzer Prize-winning dramedy, "August: Osage County." While it’s a lively, engaging, secret-spilling, dysfunctional family play that’s unapologetically vulgar, it’s overrated – especially with its 3 ½ hour run time. By contrast, "Superior Donuts" is underrated. Again, you wouldn’t place it among the great plays. In addition to its sometimes sitcomy feel and predictability, more details about Wicks’ “Great American Novel” would be nice. 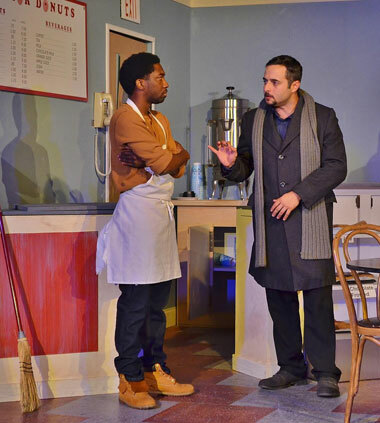 "Superior Donuts" runs through Jan. 20 at Main Street Playhouse, 6766 Main St. in Miami Lakes. 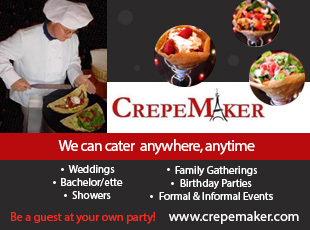 Show times are 8 p.m. Thursday-Saturday and 2 p.m. Sunday. Tickets are $30 for adults and $25 for students and seniors. 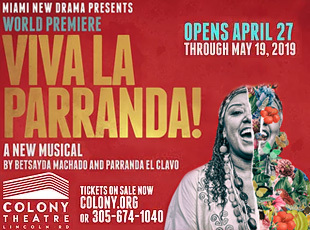 Call (305) 558-3737 or visit mainstreetplayers.com.